Saumil Chudgar, MD, MS, has agreed to serve as director of undergraduate medical education for the Department effective July 1. Saumil has distinguished himself as an enthusiastic advocate of excellence in medical education with a remarkable ability to connect with medical students. 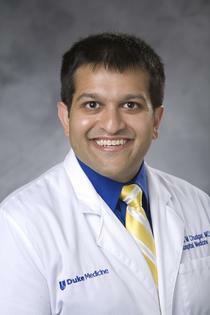 He has received Duke Medicine Golden Apple Award for Clinical Science Faculty for three years running.